Shark Attack With a Side Bacon! You might remember this happy Grinning Shark cartoon from my rad coverage of 2018’s outrageously fun Five Points Festival. Or maybe not. 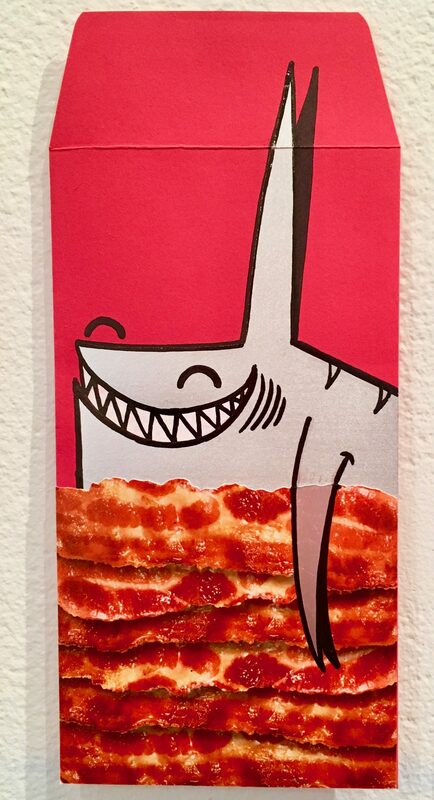 Holding a side of Crispy Bacon and ready to chomp, this Shark is the work of the artist known only as Sharpy, who created it for the Red Envelope Show, which was up at Flushing Town Hall from January 5th through the 27th. 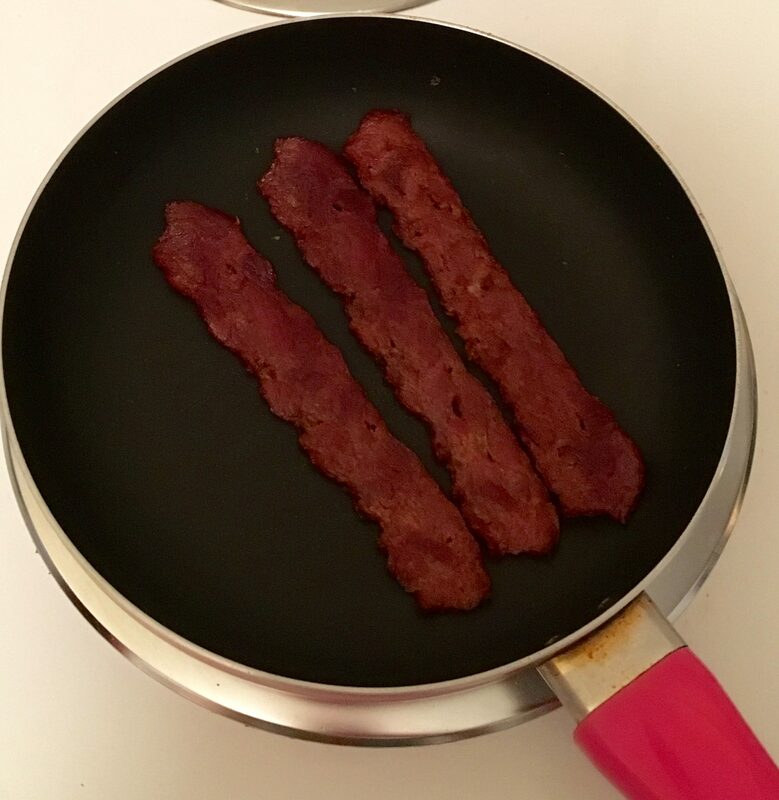 And why the Bacon, you may ask? Well, to celebrate the Year of The Pig, of course! Bacon Thing of The Day: Godshall’s Uncured Turkey Bacon! I think you will all agree that it has been far too long since we have featured a quality Bacon Thing of the Day post on this here Rad Blog, but that dry spell has officially come to end! I recently received a shipment of Godshall’s Uncured Turkey Bacon to review for The Gig, and, trust me, it was worth waiting for. Fans who love the delicious, smoked taste and versatility of Bacon, but would prefer to avoid the greasy mess and clean up — not to mention the time it takes to fry it up to crispy perfection — are going to want to check this out! 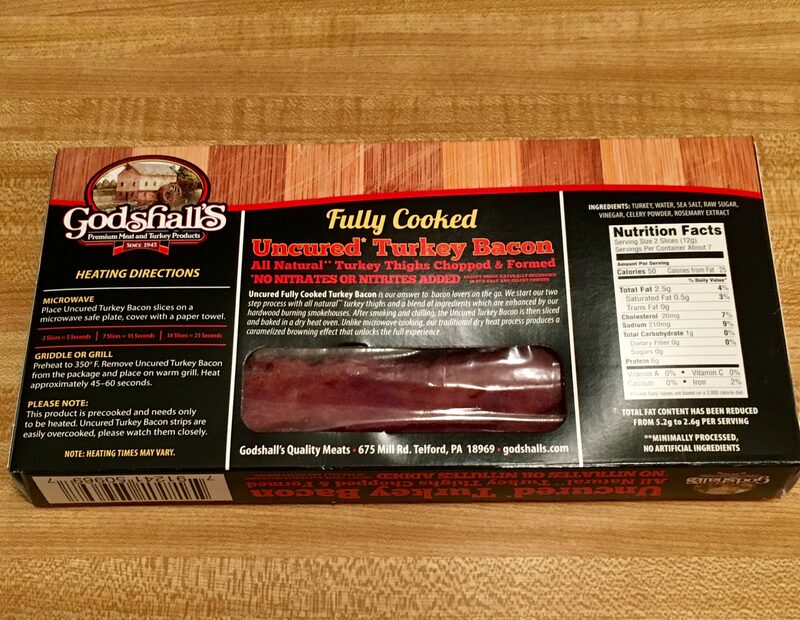 Godshall’s Uncured Turkey Bacon is the same real meat, with the real wood smoked Turkey Bacon taste, but with no nitrates or nitrites! It is gluten free with no MSG, and 50% less fat than USDA data for Pork Bacon. And since this Turkey Bacon it is already fully cooked, it can be heated up and ready to eat in just a few seconds. 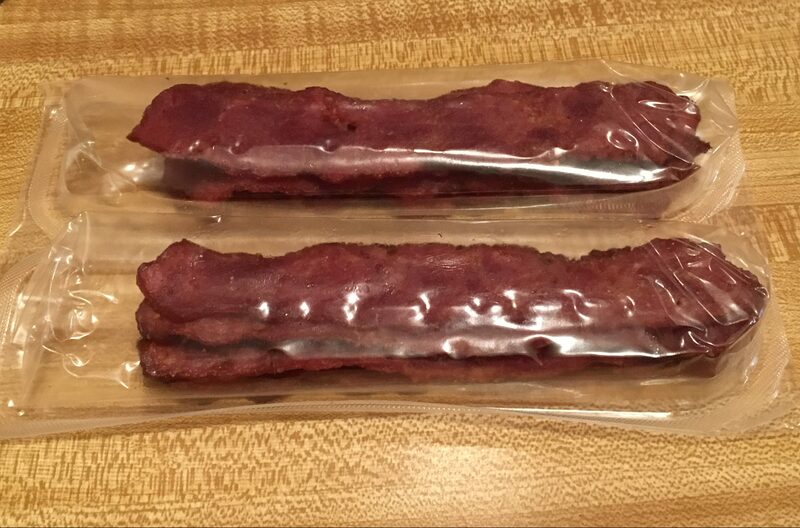 Out of the wrapper, the Bacon looks very much like a piece of high quality meat jerky, but it remains tender to the bite. The meat is not greasy to the touch and warms quickly earth in the microwave, or in a skillet on the stove top, which is what I did, since I do not own a microwave. As you can see, the Godshall’s Turkey Bacon has no fat on it, so this bacon will not become crisp like regular pork bacon. It only needs about 25 seconds on each side to warm, so be careful not to over cook it, because that can lead to toughness. 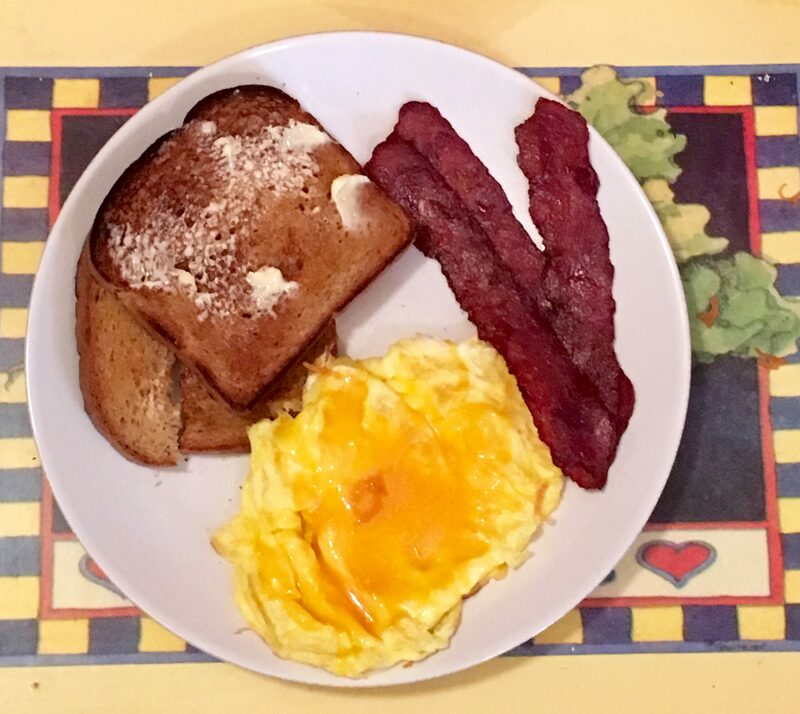 Here is what my finished Bacon and Egg breakfast looked like! 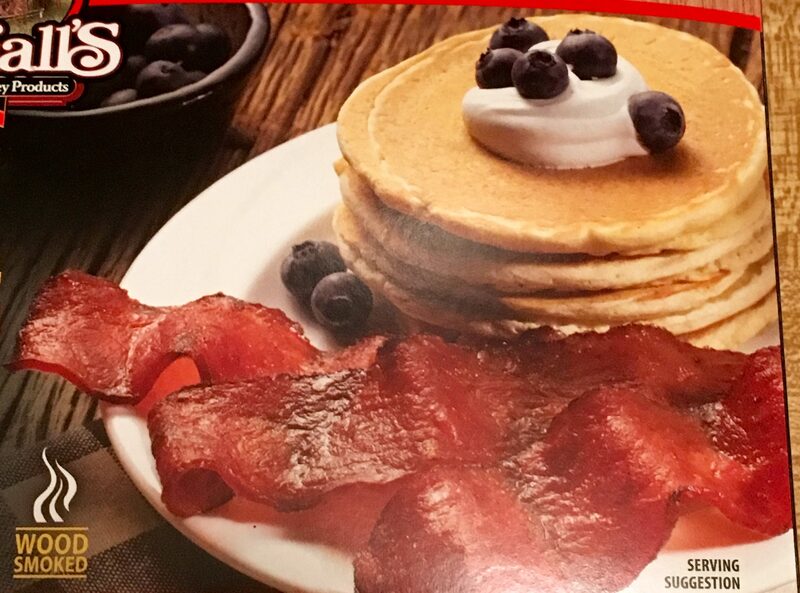 Except for the absence of crispness, the Bacon-taste of Godshall’s Turkey Bacon is going to please any bacon lover. 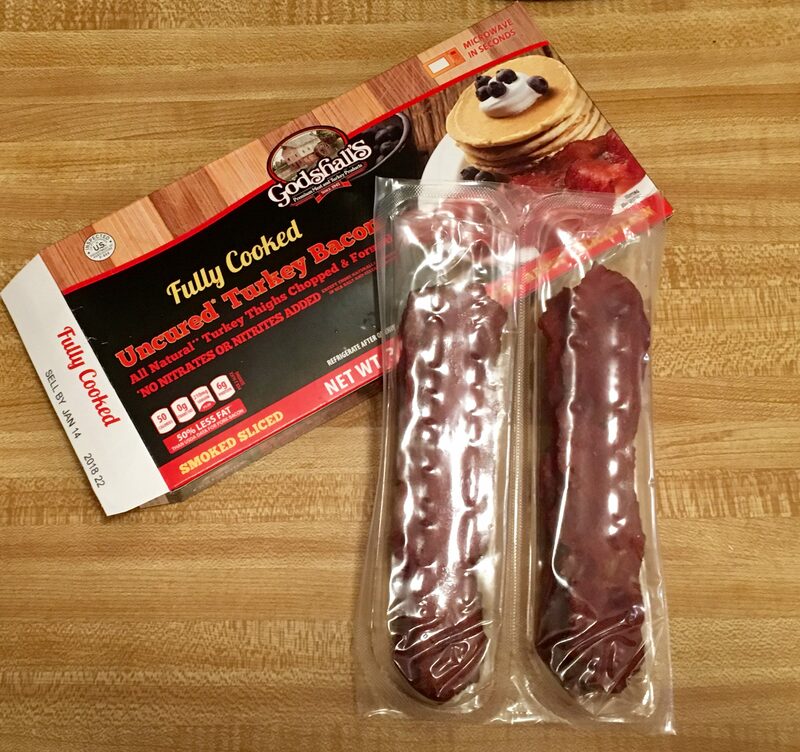 If you can make decent pancakes, here is another serving suggestion for this tasty bacon. 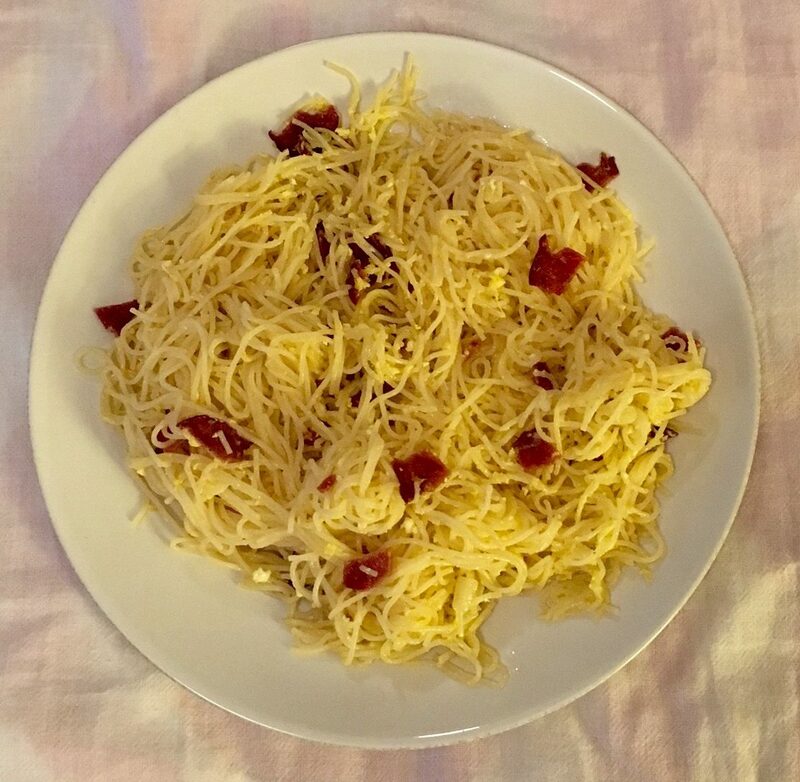 I have also used Godshall’s Turkey Bacon in a cheese and bacon omelet, and in an easy Pasta Carbonara, both with excellent results! 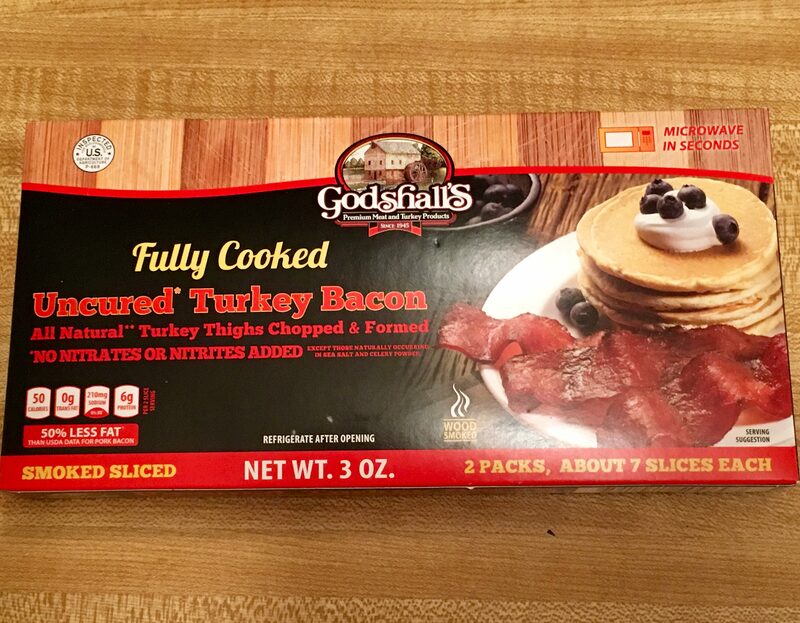 With a bit of culinary creativity, I am sure you could use Godshall’s Uncured Turkey Bacon as a substitute for pork bacon in many recipes! Find out more about Godshall’s fine meat products at This Link! 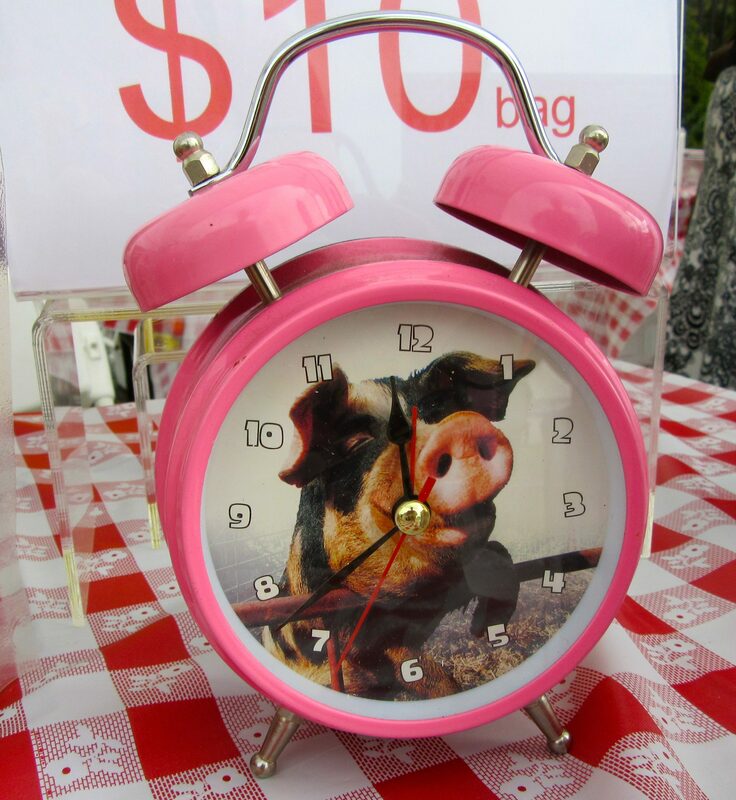 This Pink Old School Alarm Clock could also serve as a Bacon Thing of the Day, not only because it has a happy hog on its face, but because I snapped this photo at the Great Big Bacon Picnic, which I attended over the summer. 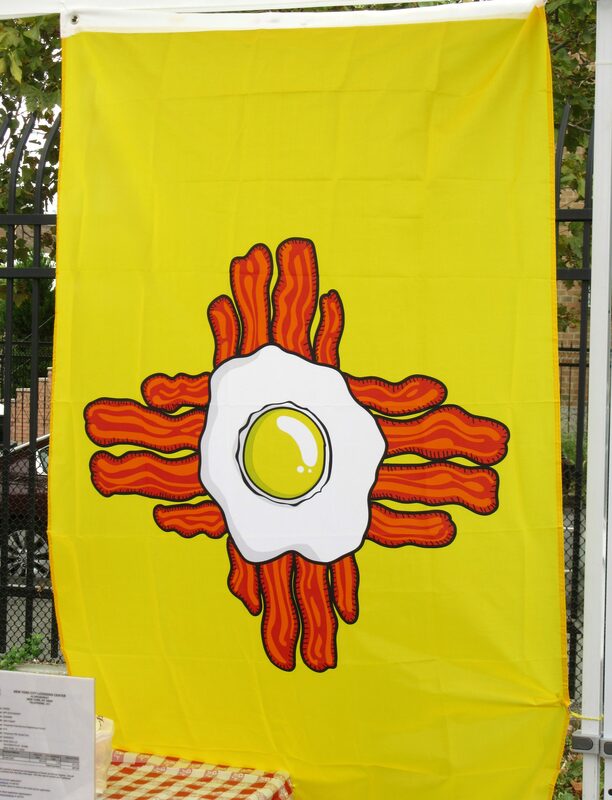 I saw this fun Bacon and Egg Flag proudly displayed in the booth for Roni Sue Chocolates at the Great Big Bacon Picnic this past weekend. I think it’s from one of the southwestern states, but I forget which one. If anyone knows please leave it in the comments! Bacon Thing of The Day: Adventure Time Bacon Pancakes T-Shirt! 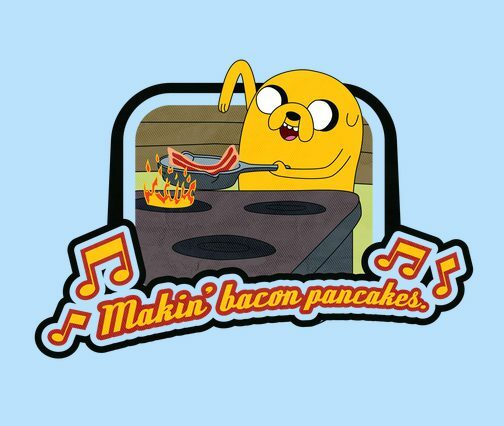 Adventure Time fans know that Jake the Dog loves his Bacon Pancakes! Get this fantastic design, by Droidloot, on a variety of T-Shirt styles including ladies, long sleeved, and even a dog t-shirt (! ), plus hoodies and more, starting at just $19.95, at This Link! 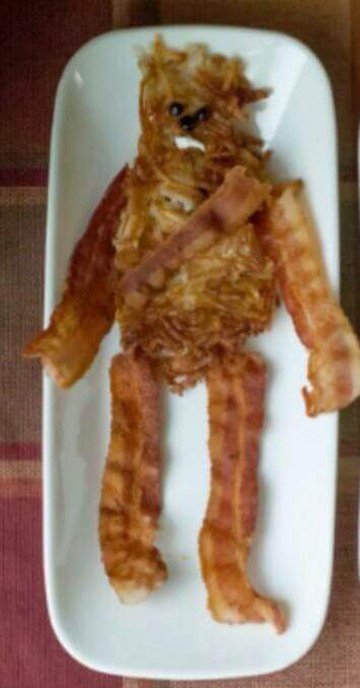 Bacon Thing of The Day: Bacon Chewbacca! This likeness of Chewie the Wookie — from the Star Wars franchise — created from delicious, crispy Bacon, was found on Pinterest. 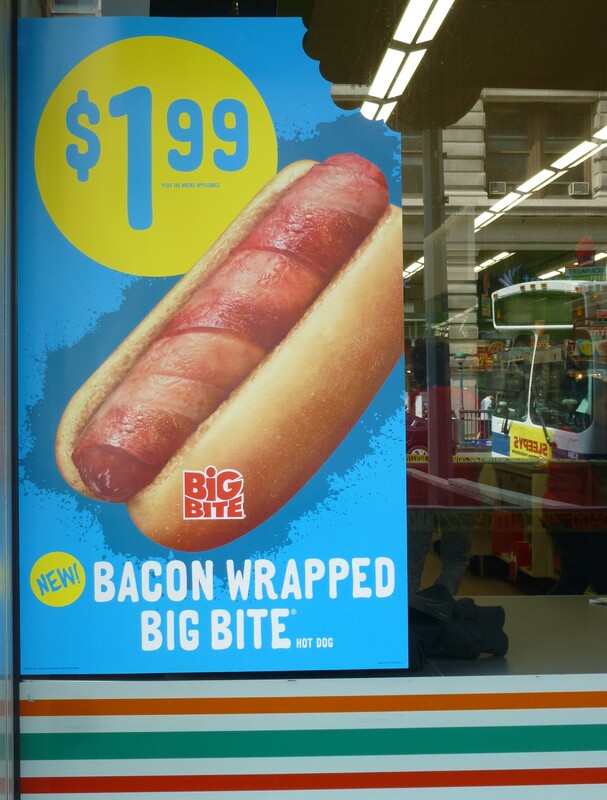 A Big Bite a Bacon-Wrapped Hot Dog sold by the 7 Eleven convenience store chain. 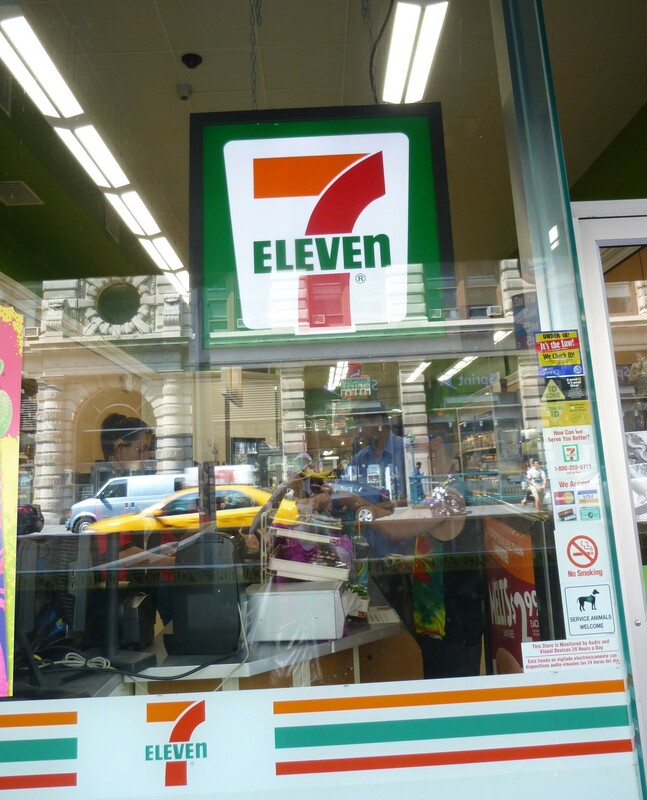 I say for $1.99, how bad can it be? I might have to find out.